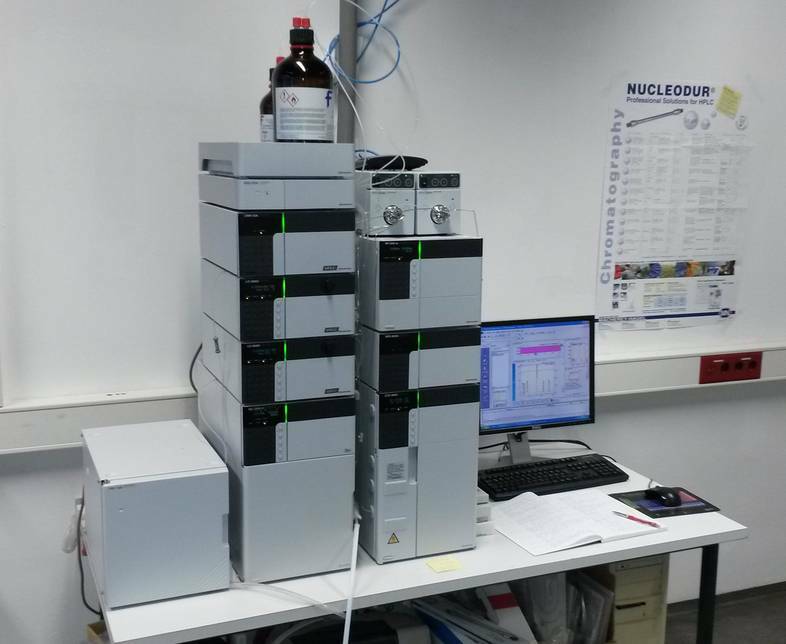 Analytical HPLC is used to determine purities of provided samples. 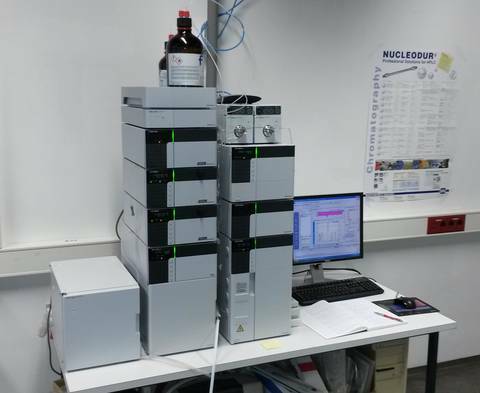 In combination with the installed fraction collector it is possible to isolate small amounts (< 0.1 mg) of impurities that can then be identified e.g. by high resolution mass spectrometry. With the help of analytical GPC it is possible to estimate the molecular mass distribution of oligomers and polymers in the range of 100 – 3000000 Da. In general all molecular mass distributions are referenced versus polystyrene standards.